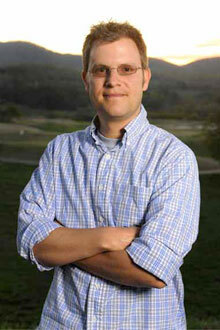 Justin Remais is associate professor of environmental health at Rollins School of Public Health. Emory University's Rollins School of Public Health has received a five-year, $2.3 million research grant from the National Science Foundation to develop new computational approaches for better understanding and responding to infectious disease risks that result from a changing and variable climate. "Waterborne disease causes millions of deaths each year, mostly among children, and more than two billion people in tropical and subtropical regions have limited access to clean water and adequate sanitation," says Justin Remais, associate professor of environmental health and principal investigator of the new project. "Identifying sustainable responses to future water supply and quality problems is essential to reducing the global burden of waterborne diseases," he adds. Pathogens in lakes, rivers and streams are known to be sensitive to changes in climate, but researchers have been challenged to make reliable predictions about the effects of future environmental change on water-related infectious diseases. Future climate conditions in some tropical and subtropical regions will lead to increased water quality and quantity problems—and associated ill-health. "We need models capable of estimating the impact of climate change on water quality and waterborne disease in these areas so that we can devise strategies to moderate potential future risks," Remais says. Remais' research team will develop open-source computational models of surface water quality and waterborne disease risk that account for complex relationships between meteorological phenomena and pathogen growth, survival and transport, using as test sites well-studied regions in western China and northern Ecuador. The team will examine the mechanisms by which climate change can affect waterborne disease transmission, such as by altering the dynamics of water flow in streams and rivers, or by changing the fate and transport of pathogens in waterways. "Improved understanding of how pathogens spread under future climate conditions can be used to better manage—and minimize—future risks of waterborne disease," Remais says. Sustainable management strategies, such as improved agricultural practices and more targeted sanitation provision, could limit climate-related changes in waterborne disease. "Our study aims to identify policies that reduce water quality problems under future climate conditions, and limit the risk of waterborne disease," Remais says, "but studying the interactions between climate, hydrology, pathogens and disease will require a highly interdisciplinary team of scientists." The new NSF project makes this research possible by bringing together top earth scientists, environmental engineers, mathematical modelers, social scientists and epidemiologists from Emory, University of Florida, Georgia Institute of Technology, Trinity College and University of Michigan. The research is funded by the NSF's Water, Sustainability and Climate Program, which is part an NSF-wide initiative in Science, Engineering and Education for Sustainability. "The sustainable management of water resources is essential to improving global health, especially in a future with a more variable climate," says Remais. "This project will develop new approaches for analyzing the complex, dynamic linkages between climate, hydrology and disease transmission in changing environments."